Connecting products to the Internet of Things (IoT) is essential to manufacturers looking to stay competitive within their industry. Adding IoT capabilities gives consumers more features. It also allows the manufacturer to stay connected with their customer while discovering new product use cases and applications that open them up to new revenue streams. These added benefits for both parties come with a cost though. Connected devices come with higher manufacturing costs but can also be sold with a higher price tag as well. 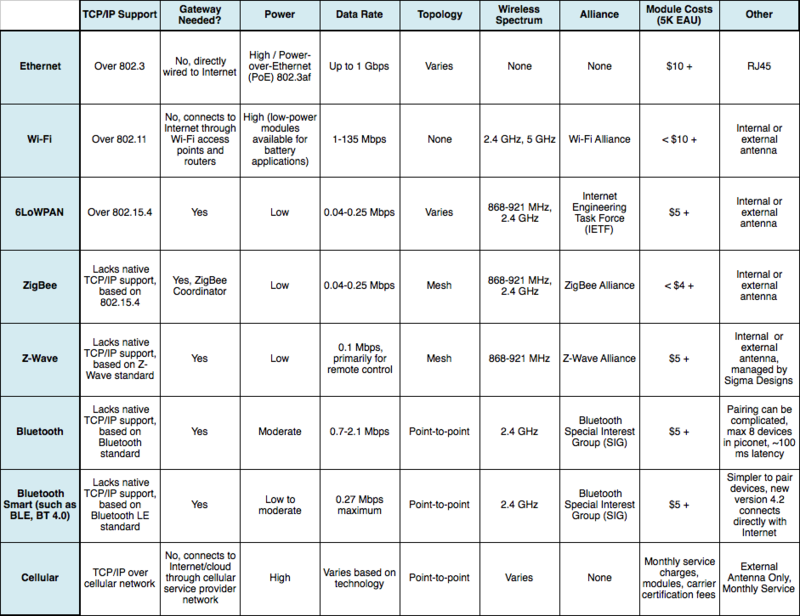 Wi-Fi and Ethernet connections can be added to products for less than $10 in bill of materials costs. Other technologies, such as ZigBee, Z-Wave and Bluetooth, can be added for a lower price but may require a separate bridge device to get that device on the Internet to access Cloud services.